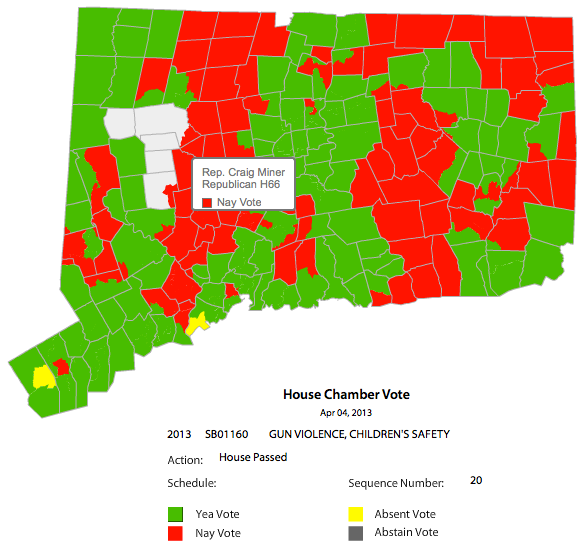 Before OppView, conducting opposition research in Connecticut was practically impossible. 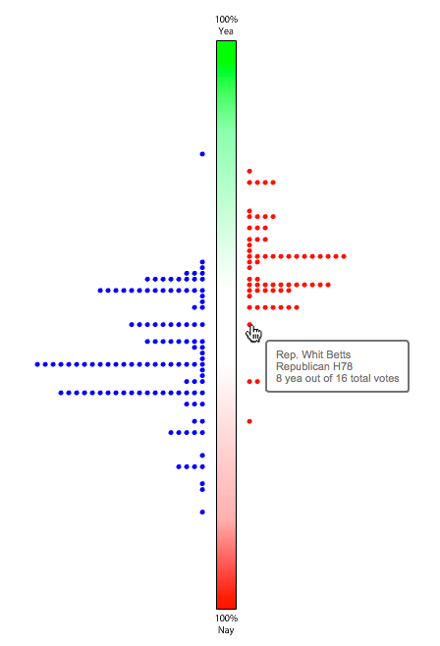 OppView searches thousands of votes to find "texture bills," those that reveal distinctions between a candidate's platform and an incumbent's record. 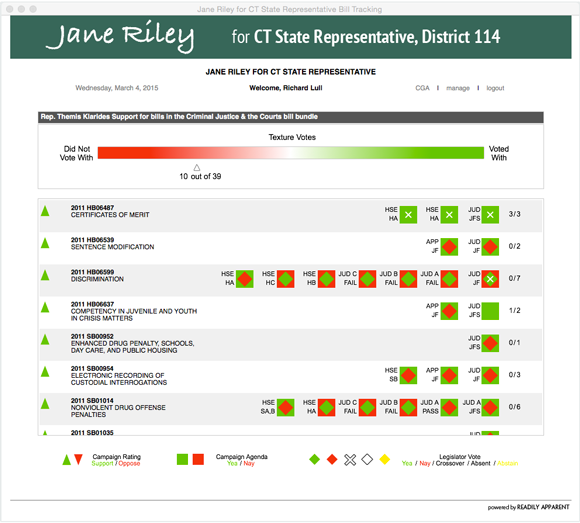 Candidates gain an in depth understanding using advanced displays to review key bills and votes, develop and substantiate talking points. A lawmaker's vote against their party can reveal issues that hit close to home or their willingness to make a stand--essential information to supporters, opponents, advocates and lobbyists. 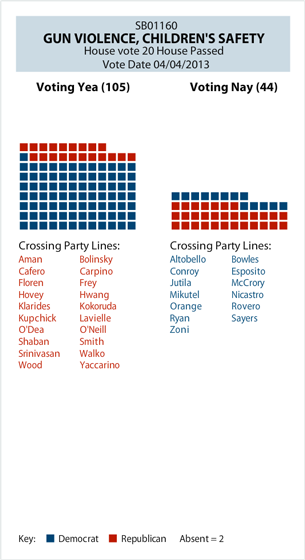 The crossover graphic analyzes voting records to see when lawmakers break ranks and develop insights into why. There are two ways to learn which lawmakers think alike. One is to work the halls to get to know in which circles people run. Similarity Index is the other. 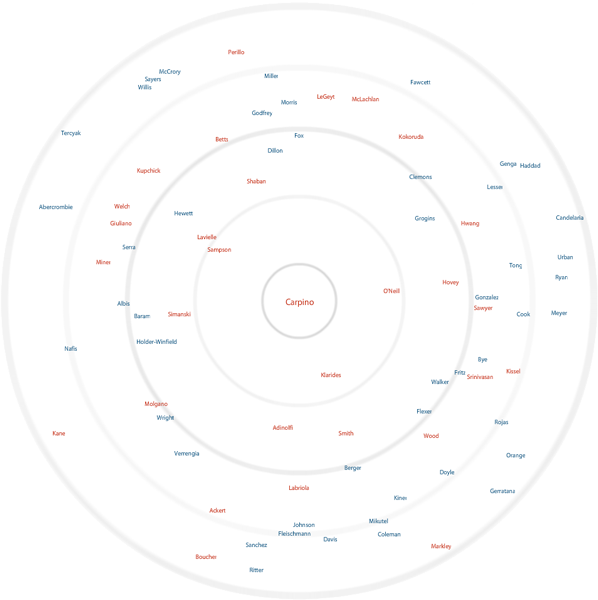 Its algorithms consider lawmakers' parties, committee membership, leadership positions, legislative and voting records to determine and display how similar one is to another. 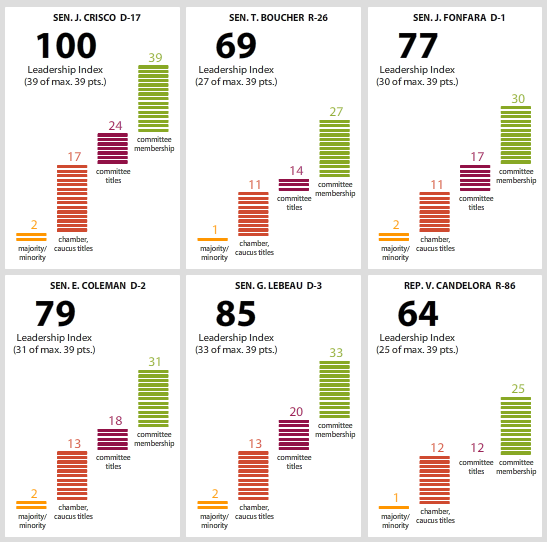 Leadership Index puts lawmakers in order based on clout: whether they're in the minority or majority, their caucus and chamber titles, and committee membership and committee titles. There are those who are for a proposed policy, those against, and others somewhere in between. Lobbying efforts are often directed against the ones in the middle, whose minds aren't made up. Trendspotter analyzes particular policy areas and voting records to show exactly where lawmakers fall: for, against, or in between. 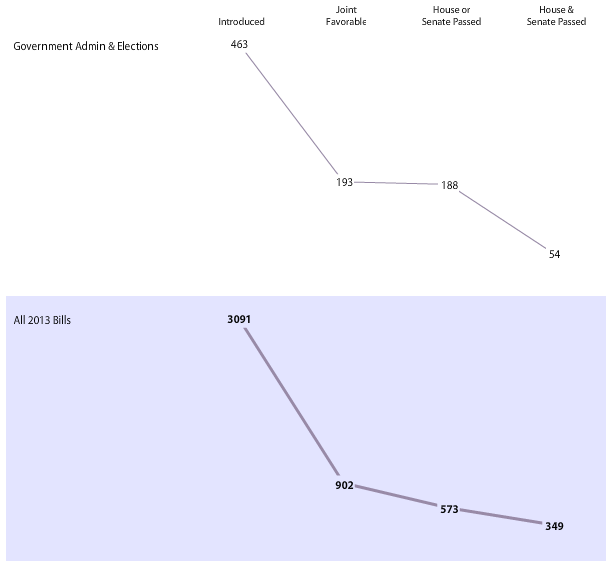 Displays the progress of bills from those initially proposed through the legislative process to those that become public acts. Displays votes for particular bills by chamber/district and lawmaker.